“We have arrived at the end of Tour de Corse in first position, but we cannot say that we have won this rally. We have inherited the victory as a result of a faster competitor’s misfortune. “We would have finished in second place – which itself would have been an encouraging result and thanks to the fantastic efforts of Thierry and Nicolas – but to win truly you have to be the fastest and on this occasion we were not. Evans won four stages. Evans won more stages than Neuville, Toyota than Hyundai. 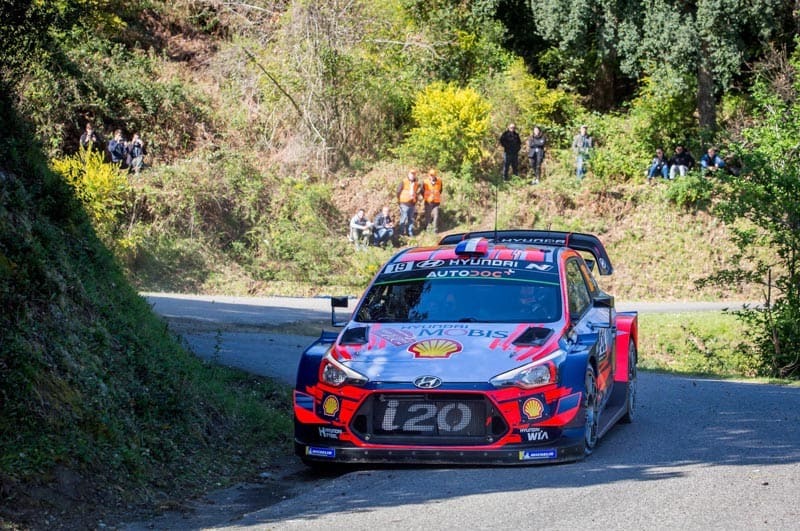 Neuville did his public respect no favours by his expletive fuelled comments when he finished the final stage, thinking he would be beaten by Evans. He later said: “I’m really disappointed for Elfyn, who did a really good job, but I think we deserved it as well”. On their final national championship round before the WRC Rally Argentina, victory at Tafi del Valle went to Fiesta MR driver Federico Villagra. He finished nearly a minute in front of Gerónimo Padilla (VW Polo MR), with the Chevrolet Agile MRs of Miguel Baldoni and Marcos Ligato. Ligato had been second until delayed by a puncture. Ligato leads the series by three points ahead of Baldoni. Next date: April 25 to 27, Rally of Argentina. A decision has been confirmed that Rally GB will have a new central service park for Wales GB, moving from Deeside close to be border with England to Llandudno. 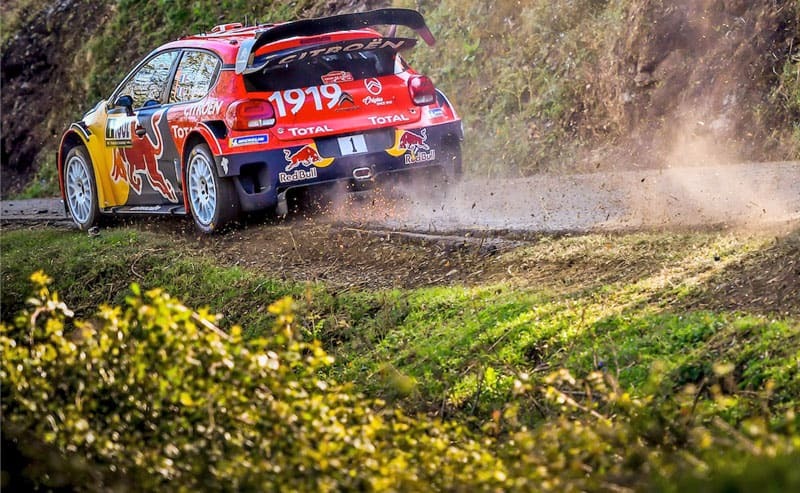 In addition to the huge entry for the WRC event, over 70 drivers competed on the historic section of the event. This was won by Marc Valliccioni’s BMW M3 E30. Regarding Citroen’s second place which disguised their disappointing performance, Sebastien Ogier said: “For sure the final result is much better than our performance. “We came here with a specific goal (a win) but we are far from achieving it. We never had the speed to compete with the best. We weren’t really competitive. Little surprise is the decision from Hyundai Motorsport that Sordo will drive their third car in Argentina and Loeb in Chile. Skoda driver Jan Kopecky won all 14 stages on the Kowax Valašská Rally, first round in the Czech national series. Skodas took six of the top eight places.